Overview: Use the Signature Pad, with a Procare Touch Computer (or your own computer) to record the signature of each authorized pick up person at your child care, daycare or preschool. 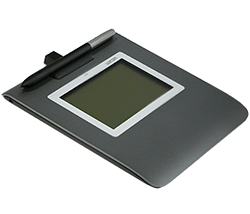 Download or print the Signature Pad manual. Download drivers for use with the Procare Signature Pad used with Procare Software and the Procare Time Clock. Only use these drivers if directed to do so by a member of the Procare Technical Support team.